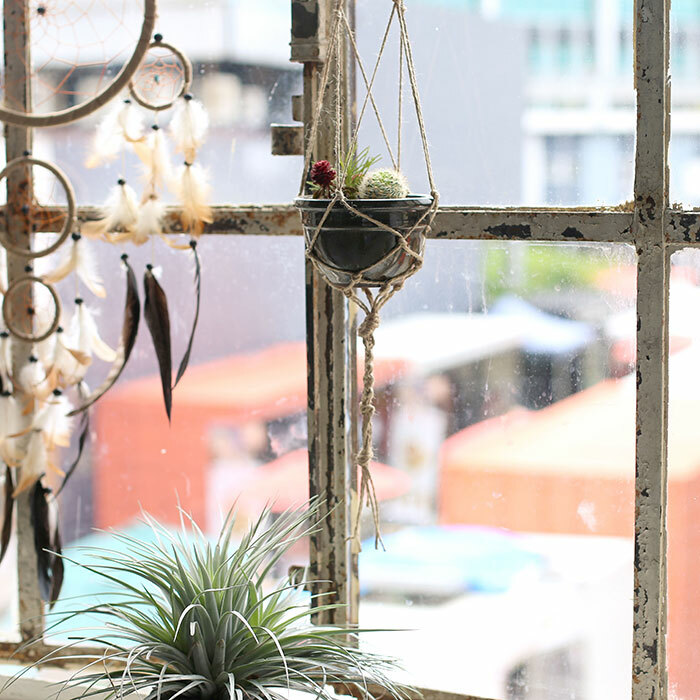 If you’re a DIY goddess hungry for your next project or you just realised it’s your Mum’s birthday tomorrow and you haven’t bought her anything… our DIY Macrame Plant Hanger is just for you! Easy to make and they look like they’re straight out of the IKEA catalogue. Trust us, we love IKEA catalogues. Once you start, you won’t want to stop! Use our images as a visual guide to the instructions and get your DIY on! Step 1. Cut 4 pieces of rope 1m long. Step 2. Fold in half and knot at the loop (image 2). and knot each pair about half way down the length of the rope (image 3 and 4). Step 5. When you’re finished knotting your rows (we did 4) tie all your pieces of rope off with one big knot. Step 6. Add any beads, plaits or fancy knots to your hanger. Step 7. 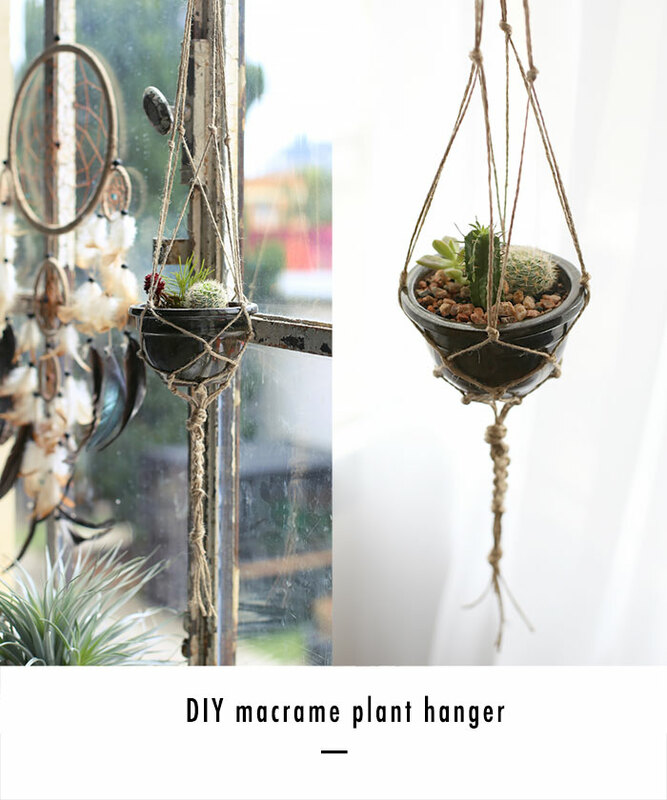 Place your plant in the bottom of your macrame hanger and hang in your apartment, room or office. We used 1m pieces of rope knotted 3-4cm apart to fit a small plant, different sized plants may not fit this size, you may need to trial and error different lengths of rope and knots to fit your plant. You can also use any other ropes or strings providing it will hold the weight of your plant.